Hi there, thanks for stopping by! I'm Ali, a designer and brand stylist based in Park City, Utah. I help business owners and entrepreneurs in the U.S. and around the world to stand out from the crowd. Design is my passion, and I strive to continually infuse that passion into the work I create. That's me at 5 years old, selling rocks in my front yard. Since the age of 5, I’ve been determined to find a niche in the entrepreneurial world. My first job was selling rocks with my brother in the front yard. Although that venture didn't turn out to be the most lucrative gig, I didn't give up on my little piece of the 'American dream'. My childhood was filled with finding other ways to make my own money, from a summer camp for kids called 'Crafties', to selling homemade greeting cards door to door. Finally as an adult, I started Dapper Fox Design, which is the perfect creative outlet that allows me to consistently bring new ideas to life. My passion and experience to help fellow entrepreneurs extends far beyond the world of design. I absolutely love being a small piece of the puzzle in helping my clients' businesses thrive! Before launching my own design company in 2013, I worked as a marketing director for a company in Park City that owned 9 unique and distinctive brands. During my 6 years in the corporate world, I gained invaluable experience and insights into what makes a solid brand. Now, as a business owner and entrepreneur myself, I understand the need for design to be more than just 'pretty'... it absolutely needs to be functional as well. Within every aspect of my work, I strive to achieve this balance. 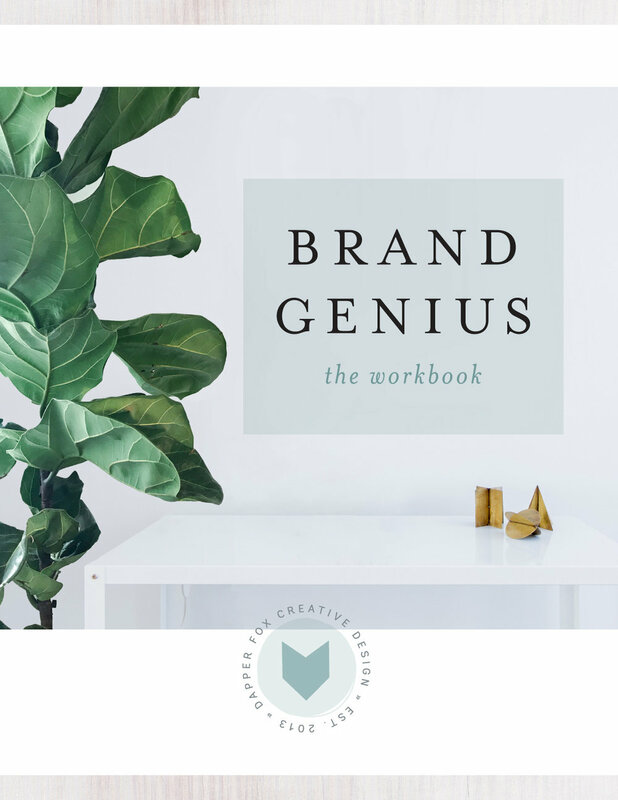 Throughout my entire branding or website design process, you'll work one-on-one with me as we create a brilliant brand that will serve you for years to come. When I'm not in the office designing, you can find me hiking or snowshoeing the beautiful trails of Park City (Utah), painting, taking photos of my adorable pup, or preparing a fresh batch of kombucha. I'm also crazy about succulents (yes, those cute little juicy plants) and gardening, so if you follow me on Instagram or Pinterest, be prepared for succulent overload!